Turn to face the pool and then move to the left side of the balcony. If you haven't done so already, use the magnetic grapple to extend the spears held by the statues along the left wall. 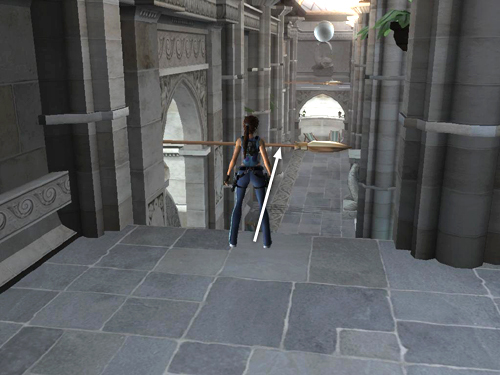 Take a running jump to grab the first spear. Swing around it and jump to let go. Quickly press the Jump key twice to snag a projection high above with the magnetic grapple. 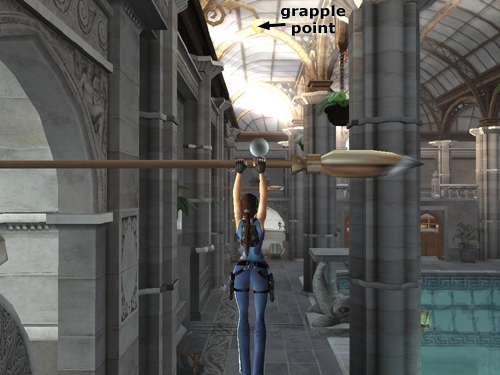 If necessary, swing back and forth a few times to work up sufficient momentum. 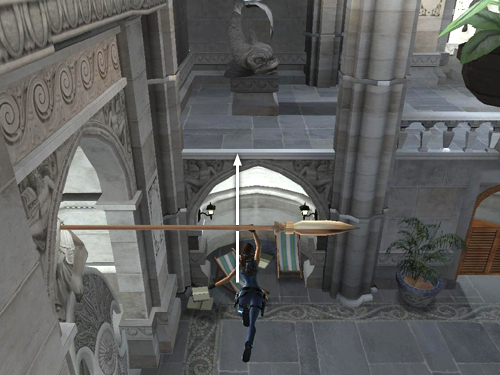 Then, when Lara swings forward, jump to grab the next spear. This can be tricky at first. If you miss, go back to the lowest fish pillar and work your way back around to this point again. 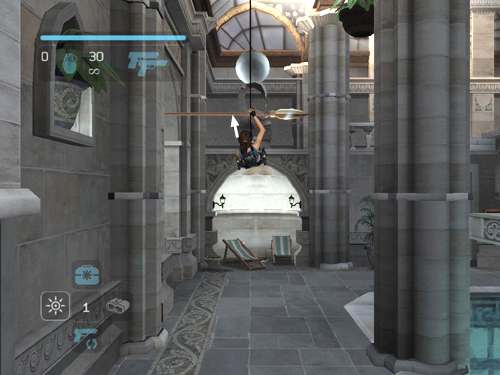 Once Lara is hanging on the last spear, swing around and jump to land on the second balcony.